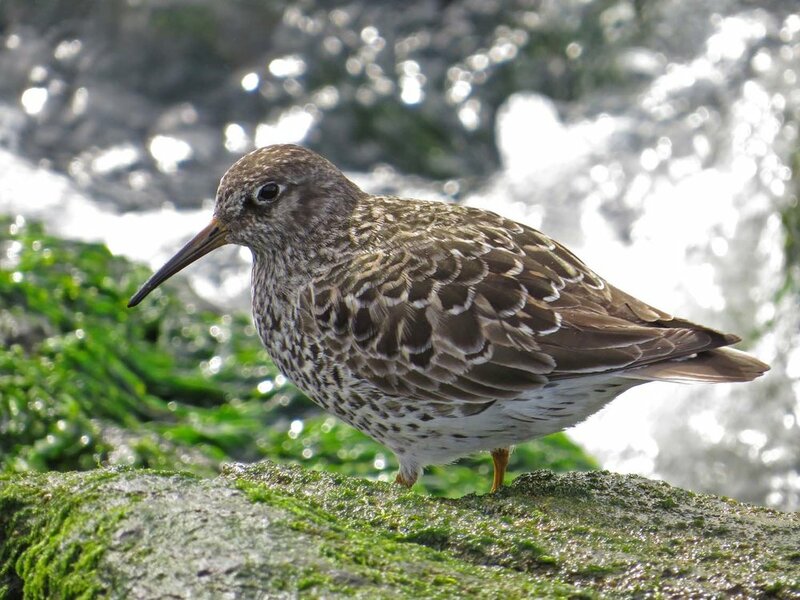 These purple sandpipers (Calidris maritima) were seen on Governors Island in New York on May 12 and May 20, 2017. They were braving the waves along the shore on the west side of the island. These birds don't show the purple of their name during breeding season. They nest in the tundra. The Filming the Feathers video features music by Carl Heinrich Carsten Reinecke, Octet, Op.216 performed by Soni Ventorum Wind Quintet, and Sonata 'Undine', Op.167 performed by Dora Seres and Emese Mali. It was filmed May 12 and 20, 2017, on Governors Island. These photos were also taken May 12 and 20, 2017.